Many companies today are focused on sustainability in the office. They have a goal of going green—but of course, saving green is important, too. Daylight control, or daylighting, might be the perfect balance because it does both. Sustainable building practices or “green” practices are about creating new systems that are environmentally conscious, resource efficient and occupant-focused. Daylight control is one of the best ways to improve building sustainability. 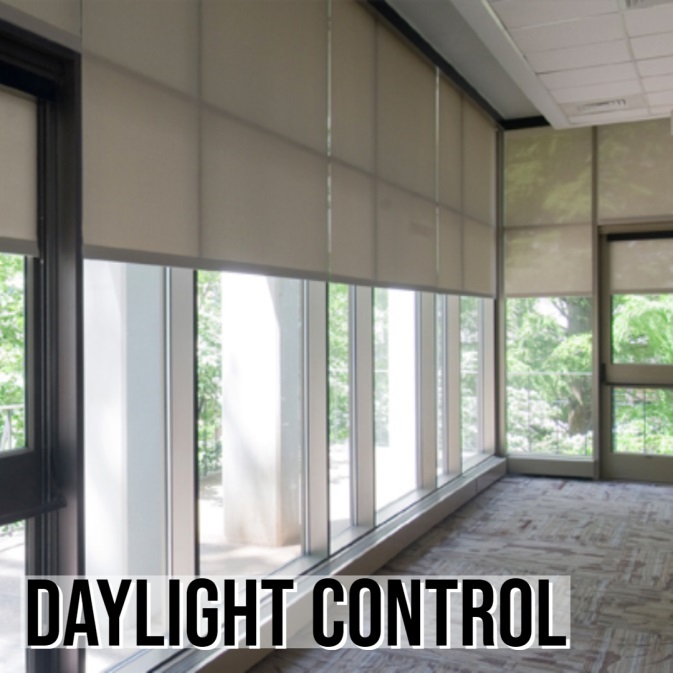 So how can you implement daylight control in your building? A great way to do so is by using automated window shade systems like the ones from our partner, SWF contract, a top commercial solar shade manufacturer. Automatic window shades will raise and lower on their own based on real-time conditions to maximize sunshine while decreasing heat gain and glare. That means less energy is needed to control the heating and air systems in the building, which saves electricity, keeps things comfortable, and reduces your monthly bill. Not only will the environment thank you, your employees and wallet will too! 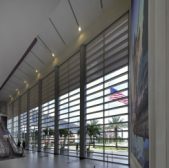 Automated shades can also help with LEED and WELL certifications for your building. At Interior Specialties (formerly Window Interiors), we’re experts in commercial window shades, including solar shades. 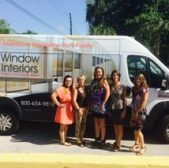 We have 30 years of experience helping businesses like yours select the right window treatment products. We are experts in the field, too, so the measuring and installation processes will be smooth, efficient and done right the first time. We work with a variety of commercial clients, from healthcare and hospitality to multi-family, offices, education, restaurants and retail. We pride ourselves on making things easier for general contractors, serving as a one-stop shop for Division 10 and Division 12 specialties. automated solar shades for their office shades. If you’re ready to save time, energy and money call us today!